Independent provider of global Direct Market Access (DMA), Object Trading, has announced that Financial Market Engineering Ltd. (FME) has integrated Object Trading’s DMA Service Platform and culminating in live trading on the utility, according to an Object Trading statement. Back in September, ICE exchange selected Object Trading as it opted to migrate products under its acquisition of NYSE LIFFE. The exchange gave approval to Object Trading with an official certification of conformance. Per the nature of the new partnership, FME can help streamline the encumbrances of designing, managing and maintaining connectivity solutions across its global markets. The London-based market maker has also fully implemented Object Trading’s DMA platform capabilities, granting access to over thirteen markets and five colocation centers. 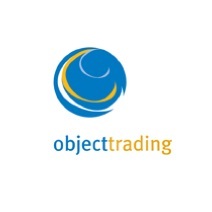 Object Trading’s DMA platform is a scaling solution that caters to sell-side clients. Alternatively, for the buy side, the group also boasts a mounting number of certified FCMs on its platform aimed at granting easy on-boarding of broker services. “As the market continues to proliferate and evolve, it’s becoming ever more expensive to stay competitive or even maintain business as usual. Today the need to better manage risk and cost substantially outweighs the race to zero latency. Firms need to focus their resources on innovations, differentiators in a crowded marketplace, really the things they do well at their core while leveraging the expertise of their technology partners to improve efficiency and delivery in areas where those technology partners excel,” added David Weiss, senior analyst at Aite Group, in an accompanying statement. “Low volumes and volatility have a significant impact on the sell-side’s traditional revenue sources as well as the opportunities for returns on the buy-side. Firms are under unrelenting pressure for superior end client service, agility and on-going performance through subject matter expertise and global resourcing,” noted Gerry Turner, executive director at Object Trading.